Geo. 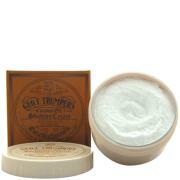 F. Trumper's Shave Cream - Sandalwood is the perfect addition to your shaving regime. It forms a rich lather, which allows for closer and more comfortable razor glide, minimising the risk of ingrown hairs, skin irritation and razor bumps. Sandalwood extract leaves skin soft and hydrated, leaving you with a smooth and soothed finish. 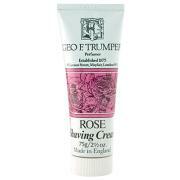 Suitable for normal skin types, this glycerine-based cream will last and last.